Dome Washers | Boker's, Inc.
Boker's can manufacture custom stampings, washers, spacers and shims with an outside diameter from 0.080” to 12” and material thickness from .005" to .190" inches. Boker's is committed to delivering quality, precise custom dome washers for just about any application need. 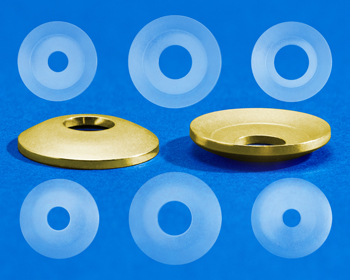 To obtain a quote for domed washers please fill out our fast quote form.